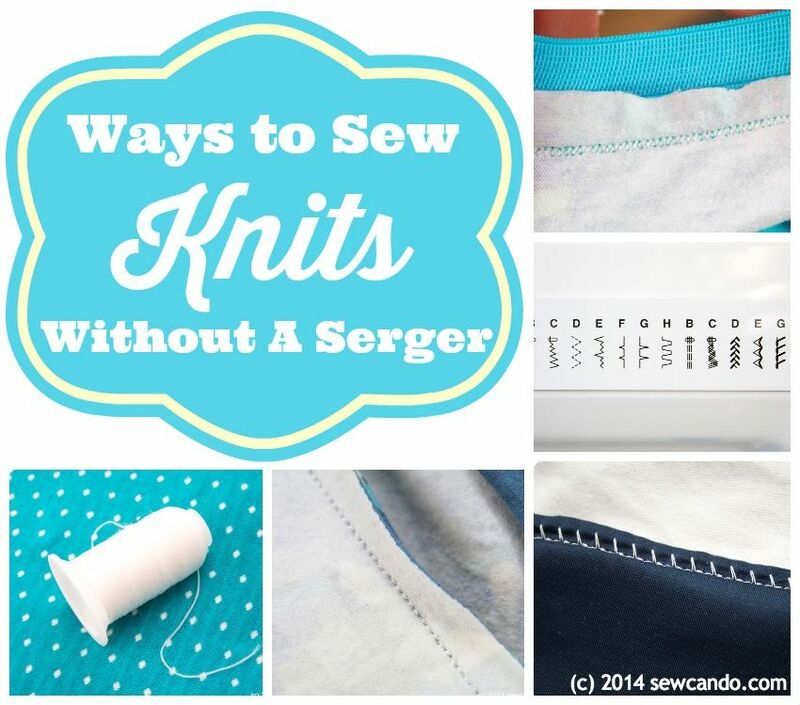 Many people think that sewing knits means you need a serger or face disaster. Sure, popped stitches, stretched fabric, wonky seams, CAN happen when you sew knits on a sewing machine....IF you're treating them like woven fabric and just straight stitching. There's a reason sewing machines come with many different stitches. Now it's time to start using them! The key is to use stitches that are designed for knits. 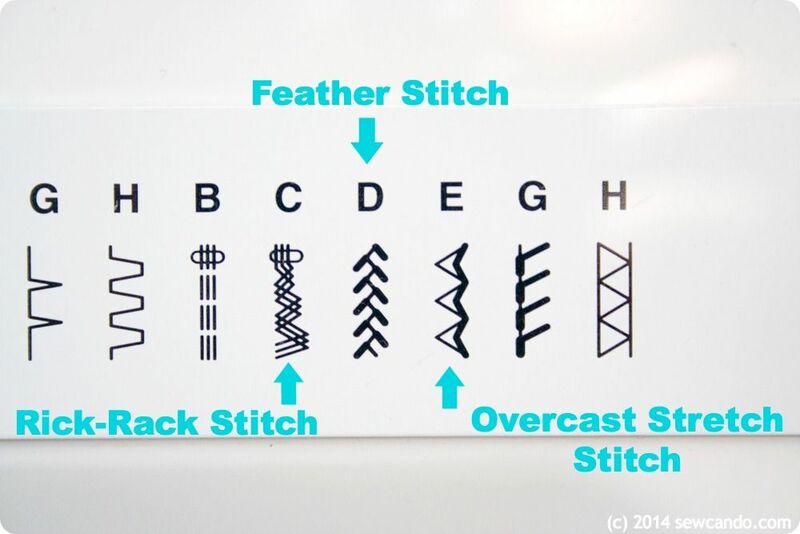 Over the past few years I've discovered and shared various stitches, but thought it would be handy to put it all together here for an easy "buffet" of knit stitching options. Frustration-free and not requiring a serger! Triple stitch looks almost identical to a single stitch, except it does each stitch three times (think triple backstitching). It's meant for projects that require strength & elasticity and eliminates puckering on knits. Ideal for a knit fabric/elastic or knit/woven combo and for heavily stretched seams like neck & arm holes and seats of pants. It's my go-to stitch for most interlock, stretch velour, jersey & sweater knit projects. 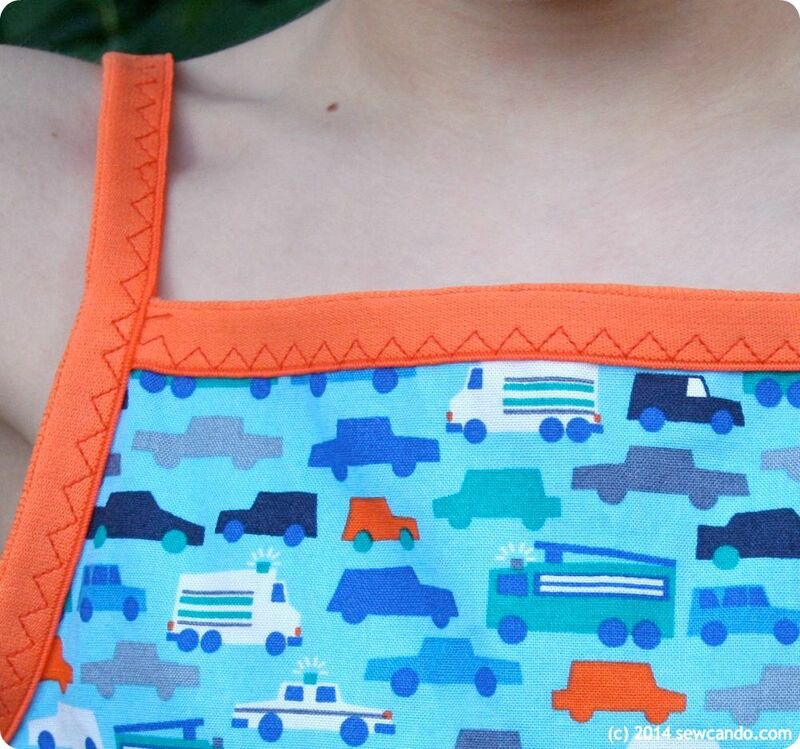 This stitch is also great for doing appliqué on knits (find my how-to here). I've noticed factory made appliqué use stitching like this and that explains why those tend to last longer & look nicer than a lot of DIY versions. It also gives a thicker outline than just regular single stitching - especially if you're using a contrasting colored thread. 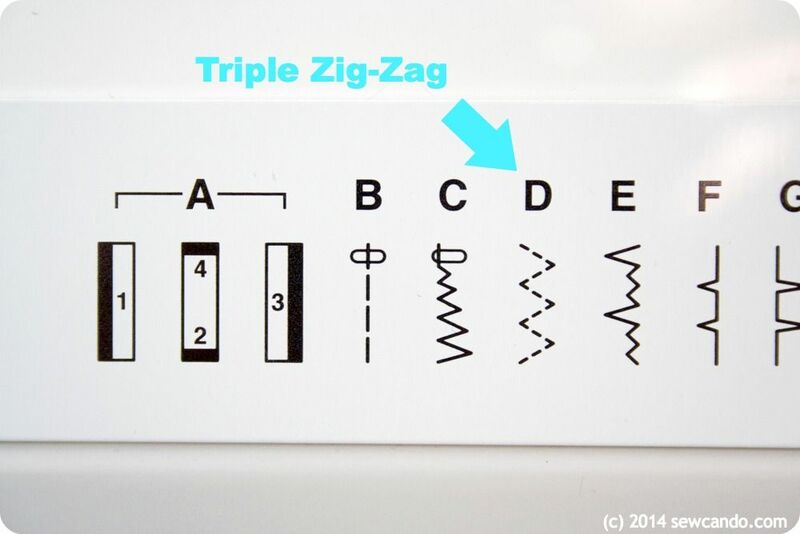 Triple Zig-zag has three stitches per zig or zag. By setting it to a wide, long stitch (5.0 wide by 2.0 long), it pairs well with elastic trims like FOE (Fold Over Elastic). Great for finishing cuffs, necklines or leg openings that will get pulled on. This is frequently used on items like underwear or cloth diapers. Obviously this stitch is wide and less "commercial" looking, so it is best used for edging or topstitching knits. 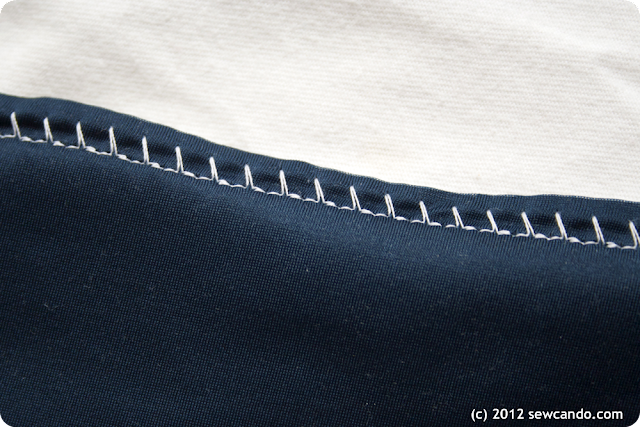 Different manuals call this stitch different things, but it works the same way. It's especially flexible, so it works ideally for joining stretch fabrics - especially those with 4-way stretch like velour or spandex or swimsuit fabric. Just sew with a decent sized seam allowance (like the usual 5/8 inch used in most patterns) and then to trim down the seam allowance with shears when done - careful not to clip the stitching. Or use an overcasting foot and have it overlap the raw edge. I made my daughter a rash guard/bloomer sunsuit using this stitch. She's worn it every week for swim class for over a year now and it's been pulled & stretched countless times, yet it still looks great, so this stitch is a real powerhouse. For hemming knits my go-to stitch is really a go-to needle. Twin needles are just what they're called, a single shank that has two actual needles that stitch two rows of stitches parallel to one another. It's fast, precise and easy. 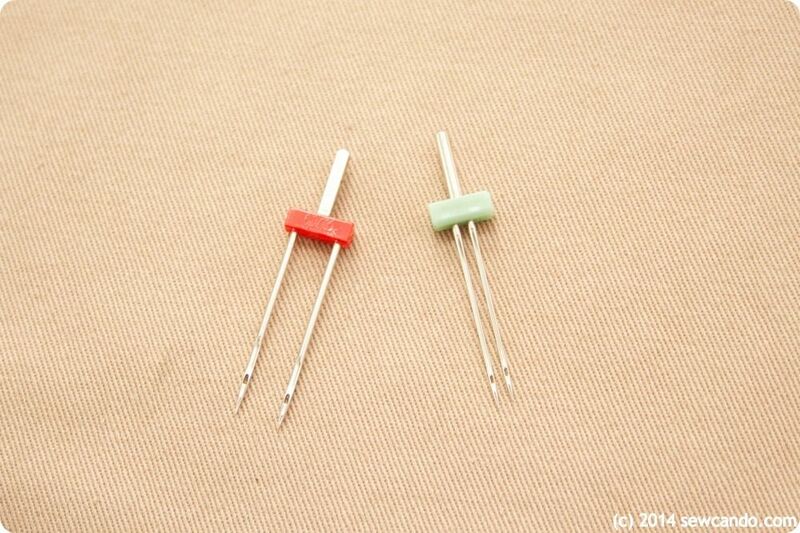 And like the aforementioned stitches, most basic sewing machines can accommodate a twin needle. Both my Janome HD1000 and Brother SE400 machines came with twin needles and have simple set-ups for threading two spools. the reverse side is "knitting" the threads together in a zig-zag for more stretch. 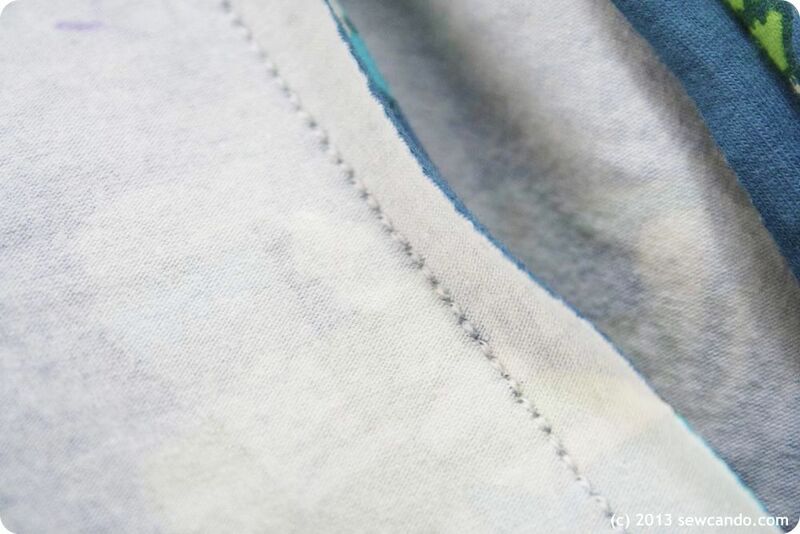 Ideally you want it to be very close to the edge, but since knits don't fray, there's no worry of unraveling so I leave a little room just so I'm sure not to miss and end up with a gap anywhere in my hem. It's also totally ok to leave that raw edge exposed (or just trim it down with shears when done). So much easier than double folding a hem and much less bulky too. 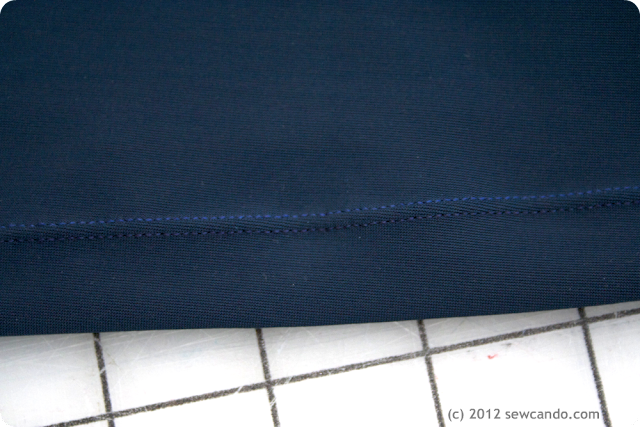 It also gives a nice professional looking finish to sleeve, shirt and skirt hems. One thing I have learned is that the wider the space between the needles, the more likely the fabric can tunnel or appear to have a bump between the rows. 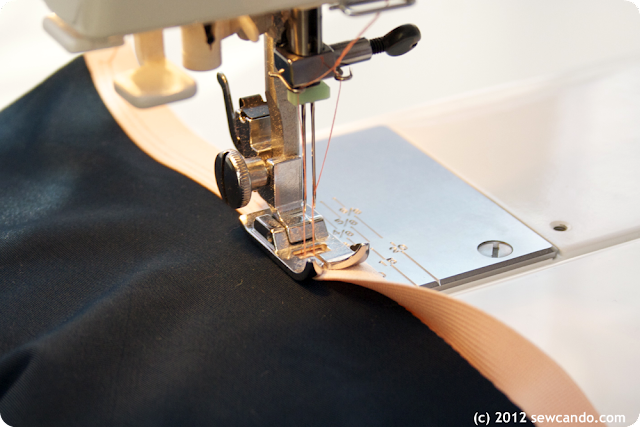 Adjusting the thread tension can help with that or to use a narrow twin needle on some fabrics. Many machines offer other stitches that are ideal for knits too. Usually under names like overcasting, stretch, feather, etc. 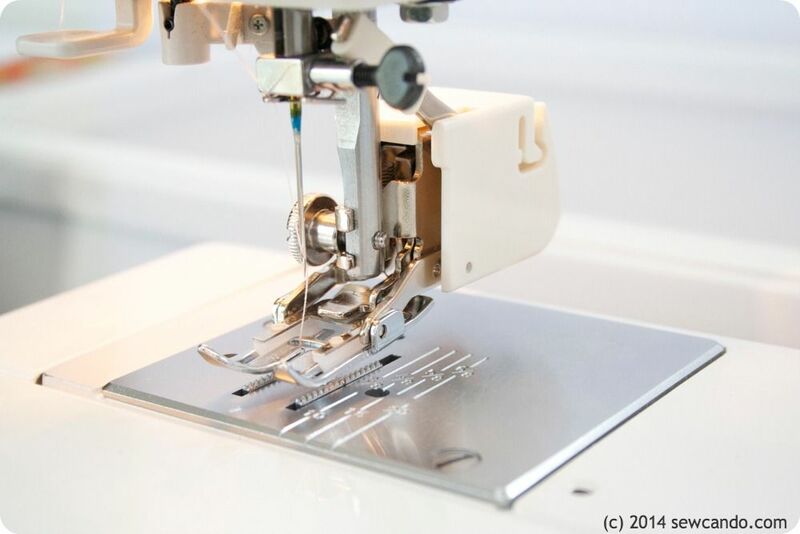 It's definitely worth taking a few minutes to check out your machine's manual to see all its stitch options, recommended uses and then trying them out on a few scraps to see what works best for you. You may discover fabulous, knit-friendly stitches you didn't realize you already had! I also find using nylon thread in the bobbin adds a little extra stretchability for seams that will be pulled a lot (like neck holes). The trick is to hand wind it so the pliable thread isn't fully stretched taut on the bobbin. It works like a charm! Another other item I started using with knits is a walking foot. Most machines don't come with them, so it's an accessory you buy separately. 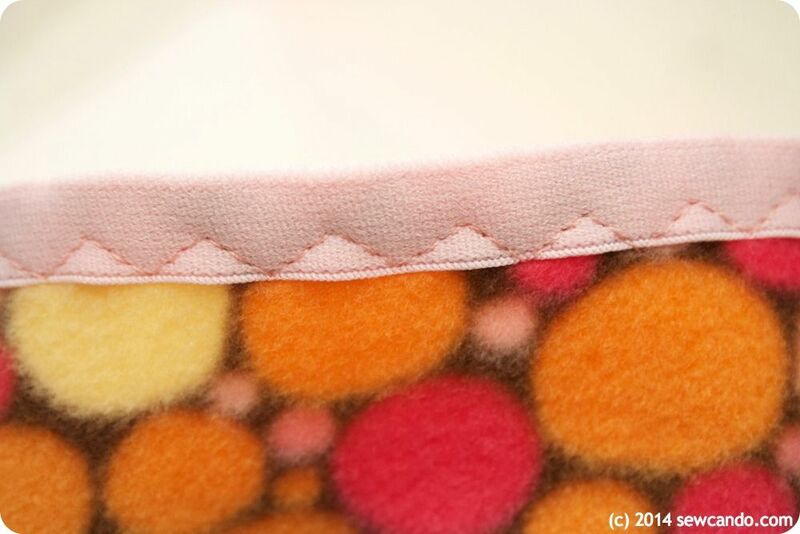 It can be very handy with knits since it grips fabric from the top (instead of just the feed dogs underneath), so the even hold keeps layers from creeping or stretching while you sew. I'd done a fair share of knit sewing without it that worked out fine, but I think it really makes a difference with thick or slippery thin knits. It's also great for quilting, heavy weight and fabrics like laminate or silky synthetics that can easily shift, so it's worth having in your supply box. I do want to say that I'm not hating on sergers. They can be an ideal way to finish knits or fabrics that easily fray and offer the ability to sew with 3 or 4 threads at a time. They just require added expense (about the cost of a 2nd machine) and there's a bit of a learning curve to use them. 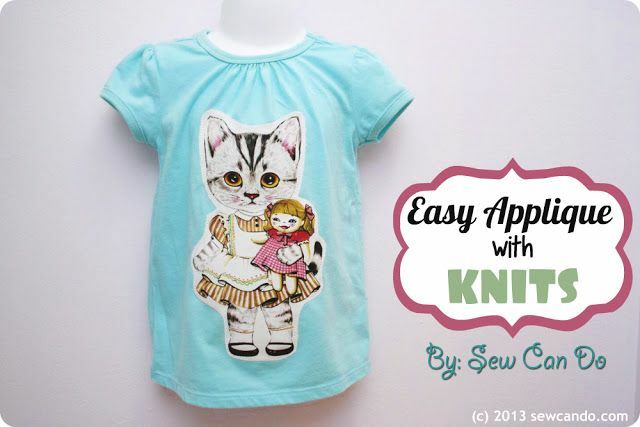 So now that you've got the info, grab some knits and your sewing machine & give them a try! I have a question about using the double needle - I have one but have yet to use it - do I need a double needle with ball point to sew on stretch fabrics? That's a good question Judi. Personally I've had a really hard time finding twin ball point needles, so I've used universals and they've worked well. I plan to special order some to see if there's a big difference. Will definitely share my findings! This is the same thing Sarah. I've used mine a lot (especially recently) and it works well. I love all the great stitch tips. Thanks a bunch, Cheryl! I know how that goes Christina. It's taken me a lot of hands-on experience to discover what works. first of all, please excuse me if i make any mistake( english is not my language). i have just started with sewing (3mounths) i love it!! i have tried changing the tention, both upper and bobbin. the result was better but not perfect . the other problem that i have, is the skipped stitches. A walking foot definitely helps keep the fabric from stretching or puckering, but you are right, you cannot use a lot of other decorative stitches with it. You can use the triple stitch or zig-zag thought. Skipped stitches usually occur in knits if using a regular needle. You should not have skipping if you use a stretch or ball point needle. Adding some embroidery stabilizer (the kind that tears or washes away) underneath can also help. thank you very much for replying!!! I would like to ask you one last thing, the embroidery stabilizer could help at puckering or skipped stitches? 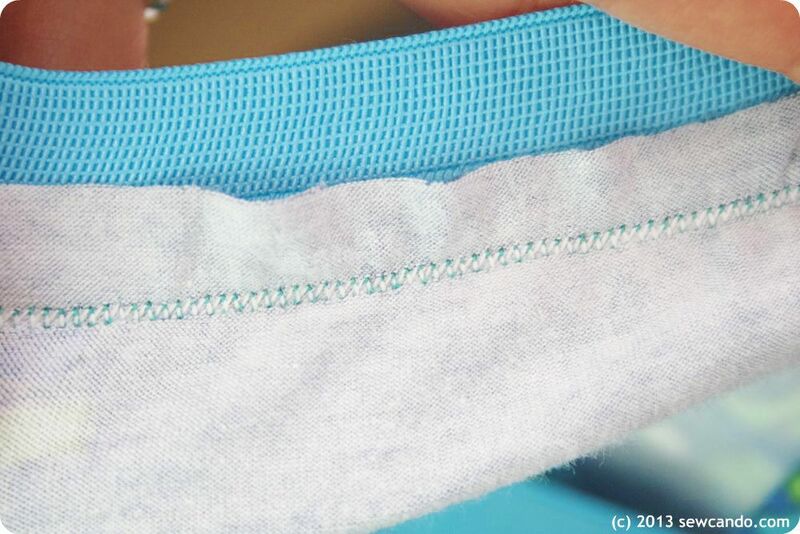 Yes, that will help keep the fabric in place and add some body for the needle to stitch more evenly. Awesome tute Cheryl! I needed this and will refer to it often! We added a page to our website to link up other blogs that have tutorials, free patterns, diy - ok if add your website to our list? Absolutely - I would love that! I just started getting interested in sewing with knits and found your great post. I recently finished a top made with sweatshirt material (just in time for summer) and wanted more information on sewing with knits. 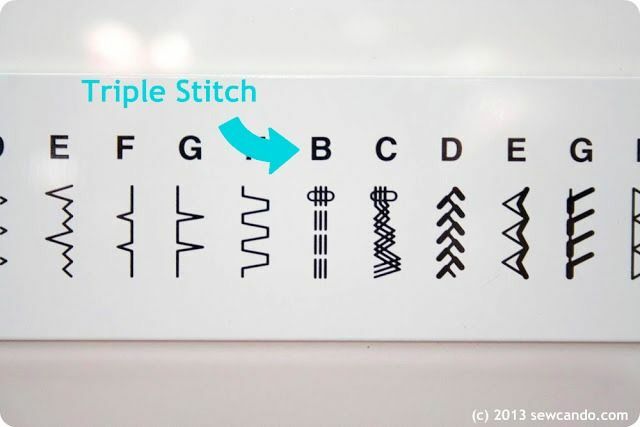 I read your description of the triple stitch and, to my suprise, I have the triple stitch on my Janome 4030, but it was not mentioned in the manual. Now I know what this stitch is for. Thank you! I'm so glad to hear that & it encourages me to do posts like this. There's a lot of variation in info in manuals - one of my machines has only a few stitches and the manual is pretty brief, but it gives examples of when to use the stitches on on what kinds of fabrics, which is a lot more helpful than the other one that's 1/2 an inch thick! Great post. I have never tried a twin needle but now I am going to give it a go. Thanks & that's so good to hear - it will definitely give you more options in your sewing. 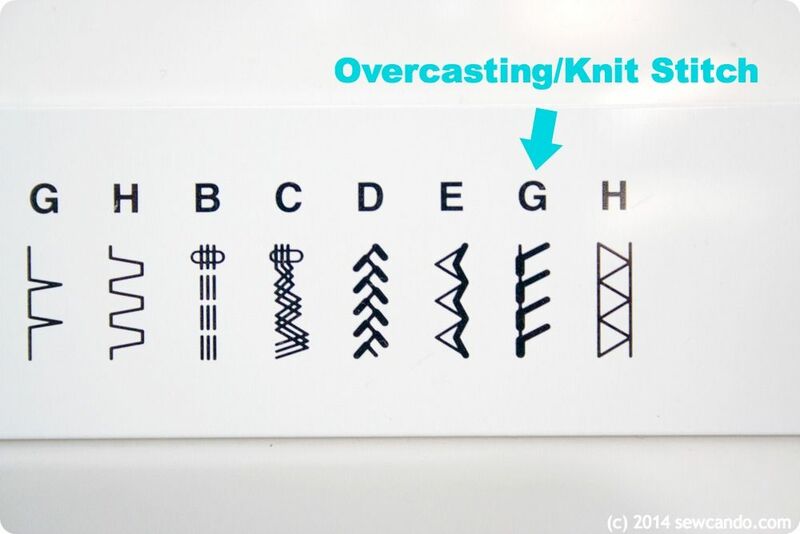 Cheryl, these are the best tip and explainations I have I read for sewing knit with a sewing machine. The instruction manual on my singer did not explain the stitches as well as you. I have not sewn in over 20 years but will be picking up the skill again. I only used woven fabric in the past but all of the patterns I like to today call for knit fabric (i'm curvier now ;-) style changes with size. Thank you!!! That is the ultimate compliment - thank you! I found the same thing when trying to learn how to sew with knits. The manuals are no help and almost every other post I saw said things like "use a zig-zag" or that you need to get a serger instead. There's no reason we can't sew knits with regular sewing machines, you just need these few key things. I may even do an update post this summer with a few extra tips I've discovered since this post:) Enjoy sewing with knits! Hi Cheryl, This is a great post, thanks for all the useful info! I have a question about the walking foot. I also have a Janome HD1000 and I'm having trouble figuring out which walking foot will fit on it. Can you tell me exactly which one your bought? Thanks! Hi! I have been sewing for about 6 years but would still consider myself a novice and I haven't used knits too often. If you use a triple stitch, what kind of thread would you use with that? 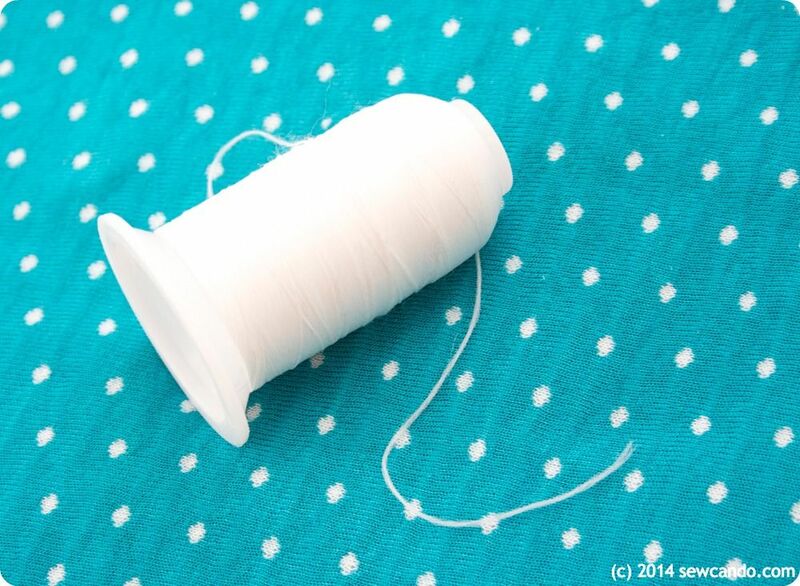 I saw your section about the nylon thread on your bobbin... do you do that everytime you sew with knits? I used standard polyester thread - it works best. I don't always us the nylon in the bobbin. If it's a very thing or extremely stretchy fabric I will use the nylon, for a thicker cotton lycra, fleece or similar stretch fabric the same poly thread in the bobbing works fine. Hi....I have a Brother sewing machine. Purchased the walking foot that is made for it...also have a ball point needle. Worked pretty well to start but lately doesn't seem like the fabric (knits) wants to feed through. Keeps getting stuck. Out of frustration put the regular foot back on and works like a breeze. I use either a zig zag stitch or overlock stitch. Will not using a walking foot stretch out the fabric? What do you think was wrong with the walking foot. Was driving me batty!